and one of our friendly staff will help you with your enquiry! 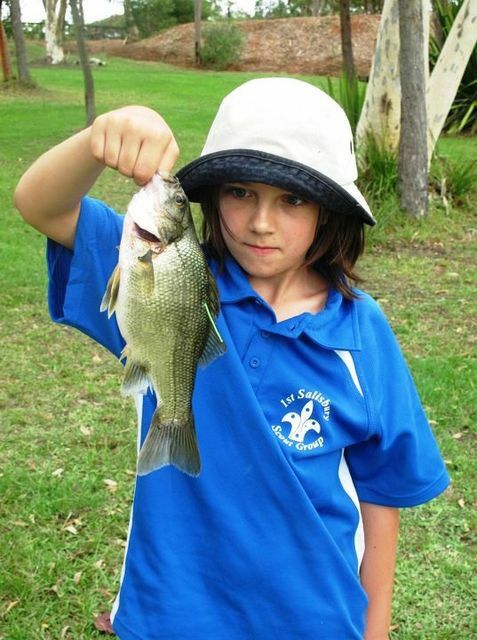 Young Guns Fishing Adventures have been providing fishing lessons in all aspects of fishing for many years are the most renowned tuition providers in Australia. Both original Directors, Todd and Melanie were acclaimed Australian Accuracy Casting Champions and with a 10 Step Accuracy Casting Program, that was designed and created by Melanie, Young Guns provide a well rounded service that is unmatched. Our Company has been providing fishing lessons for over 17 years to all ages ranging from kids through to adults. 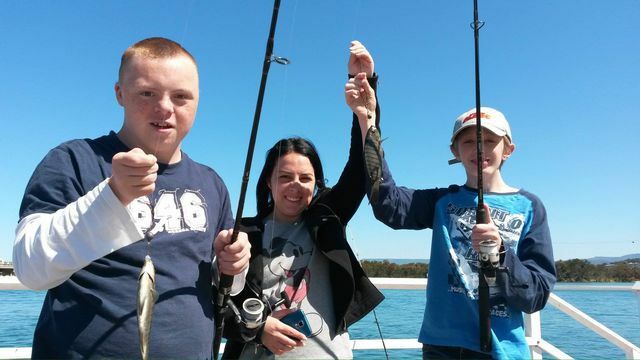 We have also been active in the disabled community and with great pleasure, provided various fishing clinics for down syndrome children. Our services over the years also include various council fishing events (Annual Emerton/ Blacktown Public Pool Fish In/Shellharbour Australia Day/Jindabyne Shout About Trout, Australian Museum/Annual Parramatta Council Carp Fishout), tackle store open days, fishing club presentations, high school sports classes, vacation care groups and centre stage performances at the 4WD and Fishing Exhibitions in NSW, VIC and QLD, various published articles in a number of Fishing publications like Modern Fishing Magazine, Freshwater Fishing Magazine and many more. 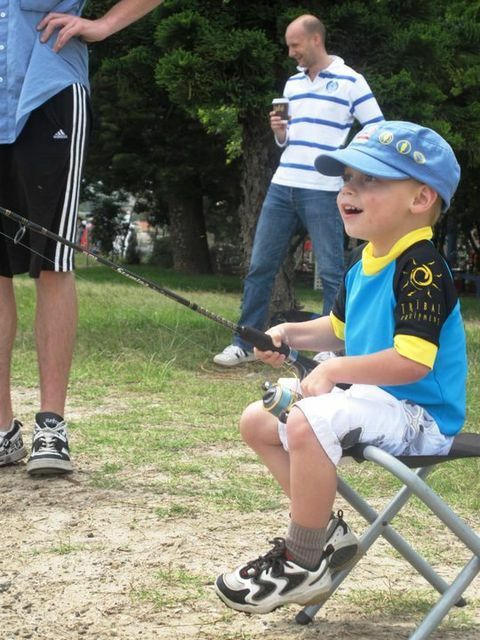 Young Guns Fishing Adventures are supportive of the world wide movement to reconnect children with nature. I got home yesterday after doing a lesson for 16 children from a vacation care group in Mosman. I realised afterwards how much harder our lessons have got over the years. The age group of this class was 10-12 year olds. ONE of these children out of 16 had been fishing in their whole life. Over the last five years the average percentage of children that we have taught that had been exposed to this or any outdoor recreation has reduced dramatically. NONE of these children had ever been camping or from our discussions just relaxed or hung out in the great outdoors let alone climbed a tree or built a cubby house. What does it matter? These children yesterday, throughout the first hour of the lesson, were hesitant to sit on the ground which was grassed, were distracted when required to listen, were unable to name one fish that lived in Australian waters and did not know the difference between freshwater or saltwater. They fiddled, they moved around, they interrupted and in general were having trouble focusing their attention. When required to perform a physical activity that required focus, most stood there without any attempt to even try,stating they didn't know what to do (after 30 mins of instruction).Their lack of adventure and of initiative was astounding. They did not interact well as a group or in most cases at all. After one hour there were signs of improvement. Not just in their ability but more importantly in their focus, their enthusiasm, the way they interacted socially as a group. They had a sparkle in their eyes and wanted to know more. At the end of the three hours, they were dirty,they were wet, they were exhausted BUT most importantly they had built friendships and their behaviour was more relaxed and less anxious. With our loyal sponsors providing the highest quality of gear used in our classes, Young Guns Fishing Adventures is now one of the premier providers of fishing lessons in Australia. The equipment we use and endorse is only the best (used personally by Young Guns). We are dedicated to ensuring students partaking in our fishing lessons are exposed to latest and greatest products available at all times. The acclaimed 10 Step Accuracy Casting Program, created by Melanie Young(exclusive to Young Guns) has proven to be not only highly successful the only one of its kind in Australia. The proven opinion of Young Guns, is that without an accurate and effective casting technique, no one is fishing to their full potential. Children and adults alike, are deterred by endless fishing trips with no catch,yet the fix for this is simple. IF YOU CAN'T GET THE BAIT TO THE FISH EFFECTIVELY, YOU ARE LIMITING YOUR CHANCES! All of our employees are highly skilled and qualified in all things safety ensuring there aren't any unnecessary accidents during our fishing lessons. With Melanie's qualification of an OH&S and Quality diploma's all our sites have undergone a comprehensive risk assessment with the necessary controls implemented to ensure all of our students go home the way they arrived! All of our trained Education Officers hold current working with children certificates. We do operate 365 days a year but bookings for our fishing lessons are essential due to demand. Get in quick to secure a booking in your desired class or event!